The Yamasaki families formal education in Jiu-Jitsu began when he Yamasaki brothers Shigueto and Shigueru, started to learn Jiu-Jitsu with their father Mr. Yamasaki Seiti but as they got older, they began to train at a Jiu-Jitsu school in a country village in Sao Paulo. During Master Shigueru his first class at the Sao Paulo academy, he began sparring without any knowledge and the result was a dislocated shoulder but this did not deter his program is the art. After the World War II, the Yamasaki family moved to the city and started to train with Master Ryuzo Ogawa. The Yamasaki brothers were quick learners in mastering the sport and the Yamasaki family opened their first school on the early 1950′s following the guidance of Master Ryuzo Ogawa. At this time, the Yamasaki Academy continued using the Judo terminology to describe the art. The Yamasaki Academy was an instant success and within a short time, the Yamasaki family had 12 locations. By the earl 1960′s, the terminology had changed from that of Judo to become what is known as modern Jiu- Jitsu which became the focus of the adult training programs. The interest in Jiu-Jitsu was quickly growing beyond just adults and the Yamasaki brothers pioneered a new youth martial arts program in Sao Paulo which was based on a completely new methodology. Over the past 70 years, the rules of judo have undergone a great change and Master Shigueto Yamasaki was asked by his student Carlos Catalano to collaborate with the innovations based on his deep experience in the sport. Master Shigueto Yamasaki acted as referee in the Olympics of Montreal (1976), Moscow (1980), Los Angeles (1984), and Seoul (1988). Master Shigueru Yamasaki was also a referee for the Olympics in Barcelona (1992). The Yamasaki brothers were also the coaches for the Brazilian National team for many opportunities. After having started families, both brothers kept focus on coaching, raising their families, and training future champions. The oldest brother Shigueto had 3 kids, including his middle son, Shigueto Yamasaki Jr. who as a teenager was Brazilian national champion and eventually became the Judo Pan-American champion, European tour champion, and in ’92 became an Olympian at the Barcelona Olympic games. Shigueru raised Mario, Fernando, and daughters Solange and Eliana. Both Fernando and Mario trained from a young age and Mario received accolades including being a State Champion in judo. Mario went on to earn many other titles before he started training Gracie Jiu-Jitsu under the guidance of Marcelo Behring. Today, Mario Yamasaki is one of the best known and most respected MMA referees in the world. Fernando Yamasaki started his martial arts training in judo and wrestling before starting his training in Brazilian Jiu-Jitsu. 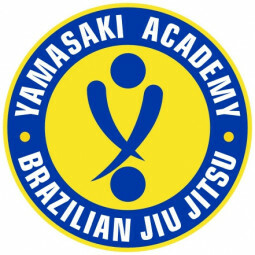 Mario Yamasaki moved to the US and opened the first Brazilian/Gracie Jiu-Jitsu school in the DC area in 1995. Fernando joined Mario and business partner Francisco Neto in 2003. Currently the Yamasaki family has several schools and affiliated schools around the United Sates, Brazil, the Dominican Republic, and Europe.